Whirlow Hall Farm goes digital! 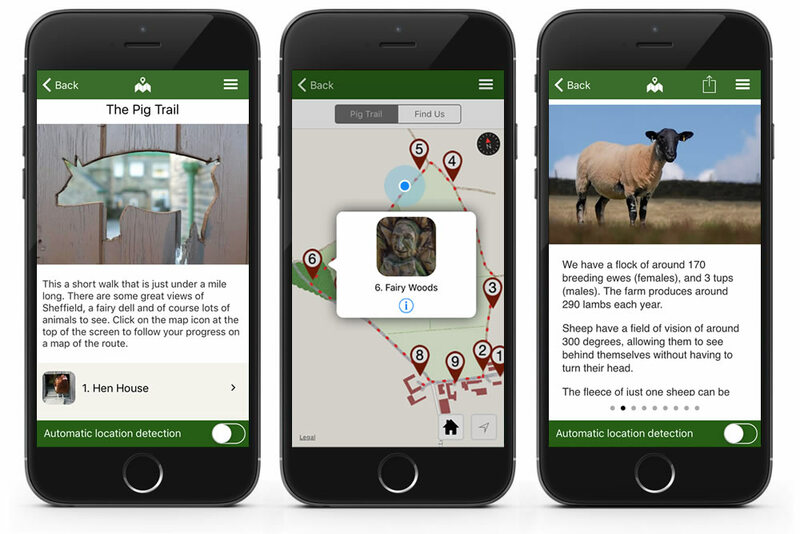 Discover our new app that includes an interactive digital version of our popular Pig Trail. The Pig Trail is a short walk suitable for families that includes some great views of Sheffield, a fairy dell and of course lots of animals to see. The app reveals useful information along the trail, and a clickable map of the route. Download Situate from the Apple App Store or Google Play Store. Then install the Whirlow Hall Farm app from the list. It couldn’t be simpler!